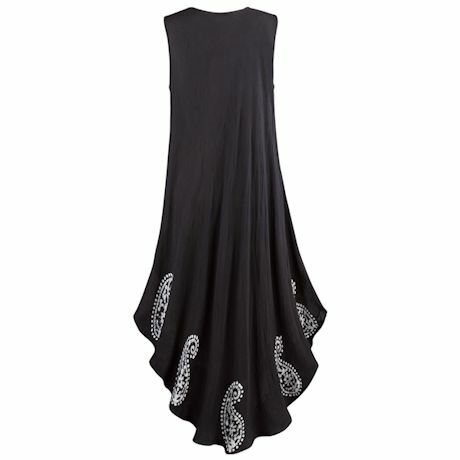 The sleek effect of an all-black body, with the added flair of reversed-out batik accents. 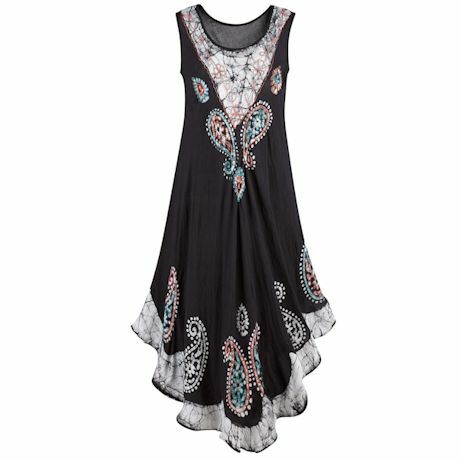 The simple cut of this paisley-print sleeveless dress makes it a go-to for the entire season; detailed embroidery adds to its lovely appeal. Hem is cut low in front, higher on the sides. Hand wash. 100% Viscose. Imported. S(6-8), M(10-12), L(14-16), XL(18), 1X(18W-20W), 2X(22W-24W), 3X(26W); 51"L.